Whether it's Hospitals, Physician Groups, Managed Care Organizations, Utilization Review Services, Homecare Organization or ACO's, RCP focuses on healthcare industry evolving P&C, medical & professional malpractice, cyber and management liability perils. RCP designs insurance programs using a risk identification and analysis method to designing cost-efficient solutions that effectively treat our client's risk. 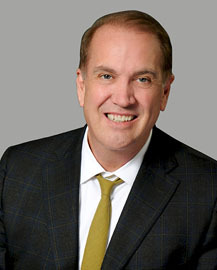 Scott Uhl is the National Practice Leader of the Executive Risk unit at Risk Consulting Partners, LLC. Scott’s core placement and consulting focus is on Directors, Officers and Corporate Securities Liability (D&O), Technology Errors & Omissions, Information Security & Cyber/Privacy Liability, Professional Errors and Omission Liability, Employment Practices Liability, and Fiduciary Liability. He has direct access to both the domestic and the Lloyd’s of London marketplaces. Scott regularly speaks and writes on management and professional liability matters. Prior to joining RCP, Scott served was a Senior Vice-President at EWI Re’s Specialty Casualty wholesale underwriting and captive reinsurance units. Earlier assignments include serving as the Practice Leader of Lockton Financial Services Governance Risk Management Group and Technology unit, based in Silicon Valley and Dallas, as the Western U.S. Underwriting Manager for Liberty International underwriting D&O, EPLI, Fiduciary and Financial Institutions unit, and as the Branch Manager and lead IPO management liability underwriter at American International Group (NYSE: AIG) and as a Risk Manager for CLP Resources (NYSE: TBI). Scott earned his Bachelor of Arts from California State University, Chico in Economic Geography and attended graduate school at the University of California. Scott was the Southwest Regional Director of the Claims and Litigation Management Alliance (CLM), is a member of the Professional Liability Underwriters Society (PLUS) and Risk & Insurance Management Society (RIMS). From 2006-2012, Scott served two-terms on the Advisory Board of the National Association of Corporate Director, North Texas Chapter. He regularly lectures at the University of Texas, Dallas (UTD) Department of Risk Management. When left to his own devices, Scott can usually be found doing something outdoors with his kids, watching the history channel or C-Span or searching out live music or running a 5K. Scott is also an Assistant Scout Master (ASM) for BSA Troop 928 at Whites Chapel United Methodist Church in Southlake, Texas, and is member of the World Affairs Council of Dallas/Ft. Worth. 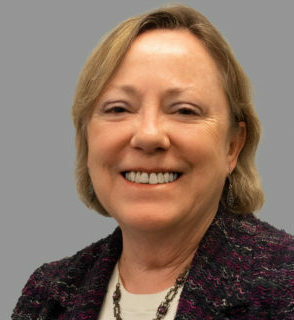 Gayle Knapp is a Senior Account Executive in the Chicago office of Risk Consulting Partners. Gayle is responsible for all aspects of day-to-day client servicing and securing the optimal insurance program for each client. Prior to joining Risk Consulting Partners, Gayle was with JMB Insurance as a Team Leader for Commercial Lines Middle Market accounts. Gayle began her career over thirty-five years ago. She was with Aon Risk Services for twenty-one years and specialized in servicing Risk Management / Fortune 100 clients. Gayle was the Product Development and Business Liaison with Insurance Noodle for nine years. Gayle’s experience encompasses all lines of Property and Casualty insurance for a variety of clients, including private equity firms, healthcare, manufacturers, wholesale distributors, financial institutions, hotels, real estate, food processors and law firms. Gayle has a Bachelor of Arts degree in Russian Studies from the University of Illinois at Urbana-Champaign. Her professional designations include the CPCU and ARM. Healthcare organizations operate in a complex and highly competitive environment. Changing care and delivery models, utilization review mandates, increased regulatory and billing scrutiny, and HIPAA, HITECH Act and data privacy concerns introduce new risks and innovative risk-treatment solutions. Risk Consulting Partners delivers value-added and creative solutions for your healthcare risk management needs. Whether it’s Hospitals, Physician Groups, Managed Care Organizations, Utilization Review Services, Homecare Organization or ACO’s, RCP focuses on healthcare industry evolving P&C, medical & professional malpractice, cyber and management liability perils. RCP designs insurance programs using a risk identification and analysis method to designing cost-efficient solutions that effectively treat our client’s risk.